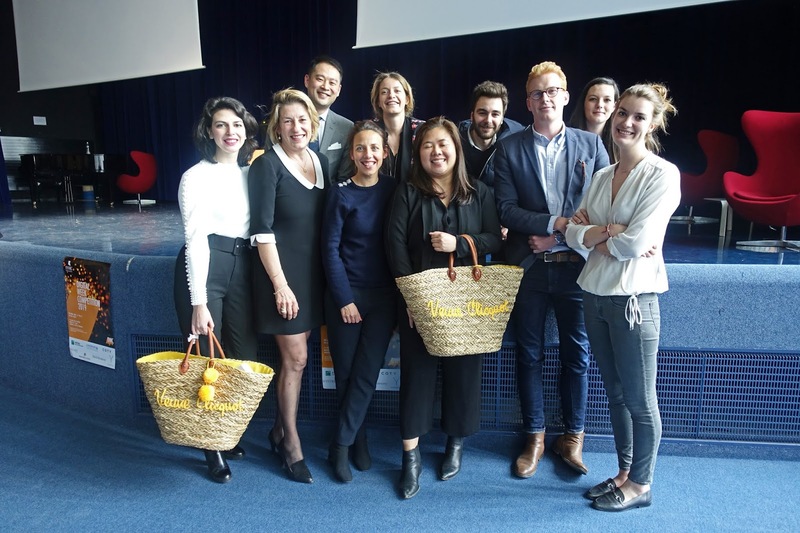 After a hectic week of globetrotting for the business trips, the Global MBA cohort came together in Cergy for the most awaited Digital Week Competition 2019. It was the perfect occasion to welcome our Singapore-based classmates to Cergy, and this competition offered an ideal platform for participants from both locations to work together. In its second edition for the Global MBA batch, the Digital Week Competition is an intense, week-long competition where seven companies across industries, including some major ESSEC partners, share real-life real business cases and strategic issues related to digital transformation. A total of 21 teams (three teams assigned to each company) were expected to perform the role of digital consultants, part of a digital agency competing against other teams to share the best approach and solution to the cases shared by these companies. After an introduction to the Digital Week Competition by the managing committee, teams worked closely with the assigned companies to understand the cases and start working towards a solution. Coaches with extensive industry experience were assigned to work closely with teams and provide guidance. The preparation for the finals was a journey filled with an ebb and flow of emotions and a crash course on how things work in the business world. An intense week of preparation was followed by the presentation of digital solutions by the teams to representatives of their assigned companies. After a thorough review, each company selected one team that would represent them at the grand finale. The stage was set for the grand finale, with seven teams ready to showcase their skills as digital consultants. All the presentations were an excellent mix of strategy, marketing, emotions and humor. At the end, the team from Moët Hennessy (Giulia, Kristine, Malek and Christophe) won the Grand Prize, with the team from Candriam (Antoine, Anirban, Rodney, and Kailash) winning the Special Prize and the team from Y-experience (Shreya, Paul, and Faye) winning the Participant’s Choice award. The Digital Week Competition provides an insight into the business world and the key challenges companies face in the digital world. The opportunity to participate in an intense and competitive environment simulates real-world challenges and prepares students to get a glimpse of the environment they would be working in post MBA. Apart from showcasing strategic and digital skills, students are also given the opportunity to develop their people management skills, which are extremely critical to succeed in the professional world. The Digital Week Competition also sets the tone to the longer Capstone project where teams would work with companies to resolve more complex problems and design more impactful, long-term solutions for the client. During our weekly Alumni Conference, the Luxury Brand Management participants had the wonderful opportunity to meet Ms. Nicole Comeau (MBA in International Luxury Brand Management Class of 2006), General Manager and Chief Strategy Officer of the fashion house Olivier Theyskens. A woman with a wealth of experiences in the luxury industry, Ms. Comeau was able to share with us her career path, which provided us with another great success story of a graduate of this program. Further to hearing about her story, we learned about Olivier Theyskens, the man and the label, as well as her take on the global market of luxury retail. At the end of March 2019, I had the opportunity to embark on a fascinating and highly rewarding experience in Pokhara, Nepal. This was thanks to Jean-Gabriel Pérès, ESSEC alumnus and member of the Global MBA Alliance of Strategic Leaders. 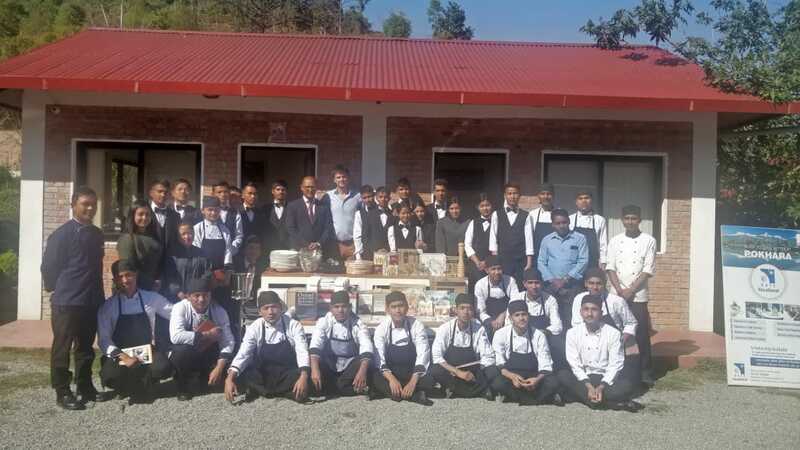 While Mr. Pérès was CEO of Mövenpick Hotels & Resorts, he participated in the funding and establishment of Right4Children, a Pokhara-based association which aims to improve the lives and living standards of Nepalese children, youth and their families through education, protection, and livelihood. 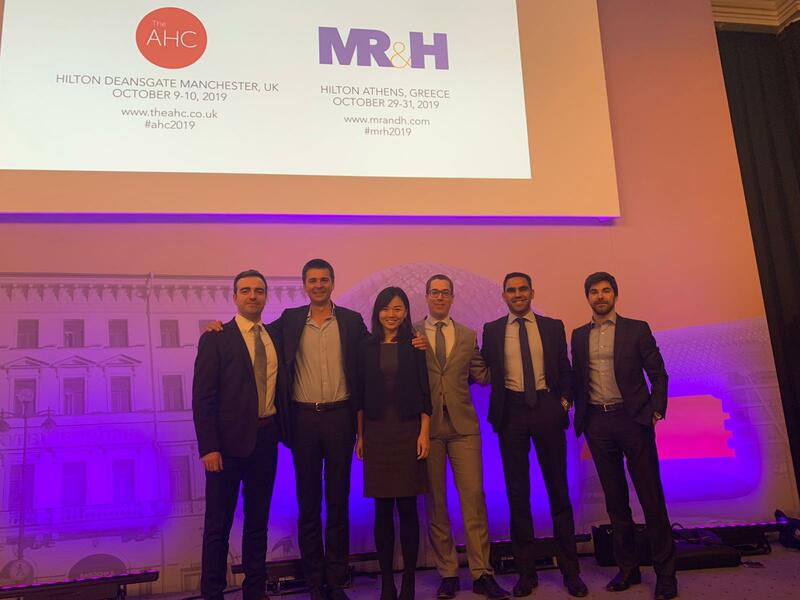 As a participant from the Hospitality Management major of the Global MBA, I had the chance to attend the International Hotel Investment Forum (IHIF) in Berlin in March 2019. One of the panels I chose to attend was entitled “Luxe Good: Why is Luxury so Attractive” which included panelists Valeriano Antonioli of the Lungarno Collection, and Caroline Domange-Harding of LVMH Hotel Management. This topic is particularly interesting for the #ESSECGMBAExperience because it is relevant to both the Hospitality Management and Luxury Brand Management majors of the Global MBA. It is remarkable to note that LVMH, one of the founding partners of the Luxury Brand Management major of the Global MBA, is now encompassing hospitality as an additional Luxury Sector in the four other sectors in which they already have a strong presence: Fashion and Accessories, Fragrances and Cosmetics, Watches and Jewelry, Wines and Spirits. Global MBA participants recently met with HR professionals and headhunters from 9 different companies for a series of mock interviews, during which they had the opportunity to put their interview skills to the test. In preparation for the mock interviews, participants were matched with HR professionals based on their professional project. Over 2 days, the Global MBA participants were put in a real-life interview situation with a recruitment professional. Upstream, they prepared the structure of their presentation, their capacity to clearly answer questions, to illustrate and to convince. The "candidates" brought, along with their CV, an existing job opening for which they were "applying to" and had to develop on the relevance of their professional project with regard to their profile, positioning and past experience. The recruitment professional ended the interview by sharing objective feedback and advice on the best courses of action for the future.